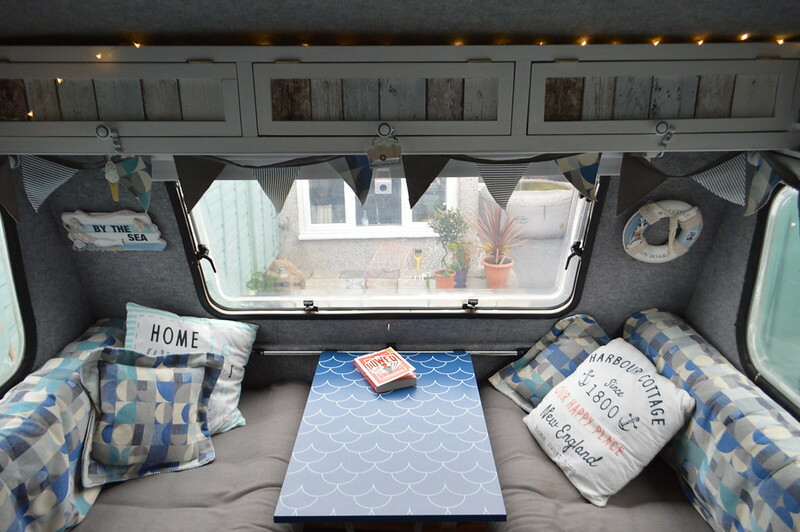 If you follow me on Twitter or Instagram you may have already seen a few snaps of the caravan that Martyn and I purchased at the end of last year but here she is in all her glory with lots of interior photos. We've been thinking about campervan and caravan ownership for a long time. 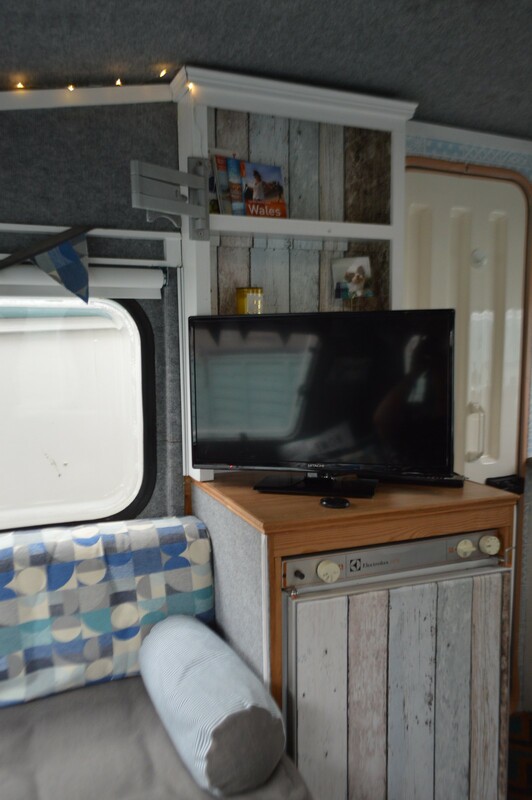 Martyn and I watch so many Van Life and caravan YouTubers, have visited caravan dealers and The Caravan, Camping and Motorhome Show to get a clearer idea of the type of van that would suit us the best. We spent our honeymoon touring the North Coast 500 in a campervan which we hired. Whilst we loved this experience and the campervan was great it was just way too small for us(and too expensive). 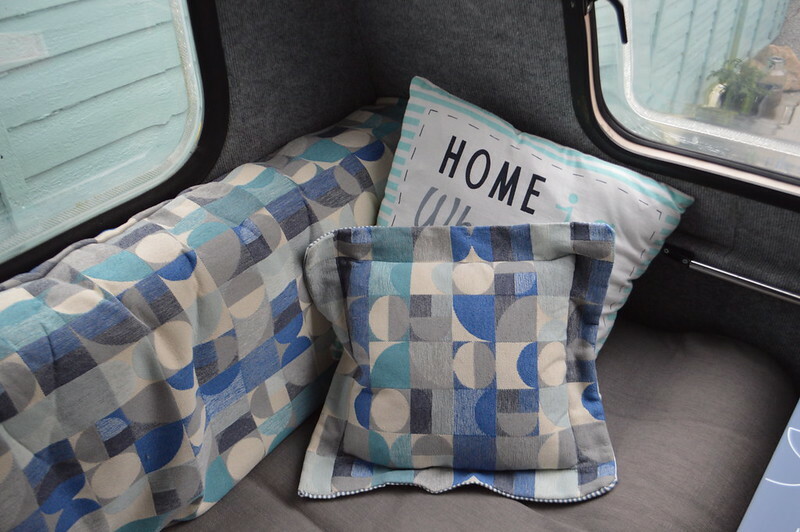 Campervans are ideal for short breaks and trips to the beach but didn't suit our little family and can feel a little cramped if you're stuck inside when it rains. 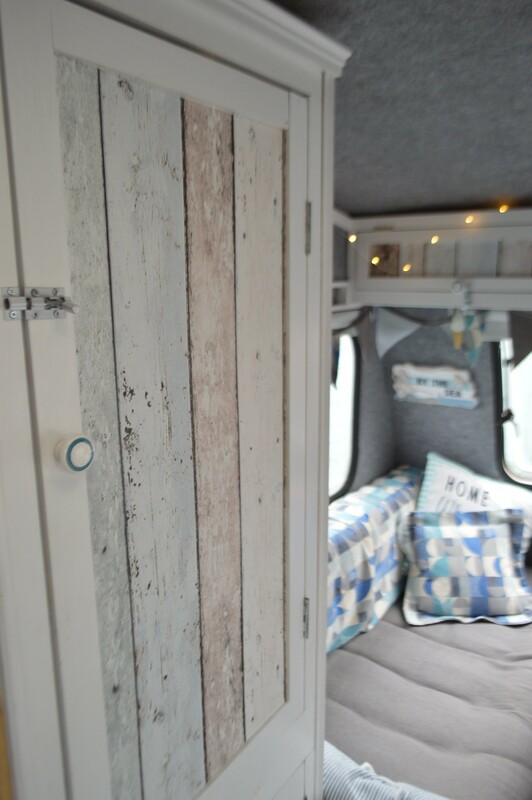 We came across our little microvan on a Facebook caravan sale group and we fell in love straight away. It is small enough to be stored in our garden, is a perfect weight to be towed by our car and offers a bit more room than a campervan and a lot more storage. We went to view Florrie and after a couple of days contemplation we took the plunge and bought her using a mixture of savings and money that we were given generously as a gift at our wedding. 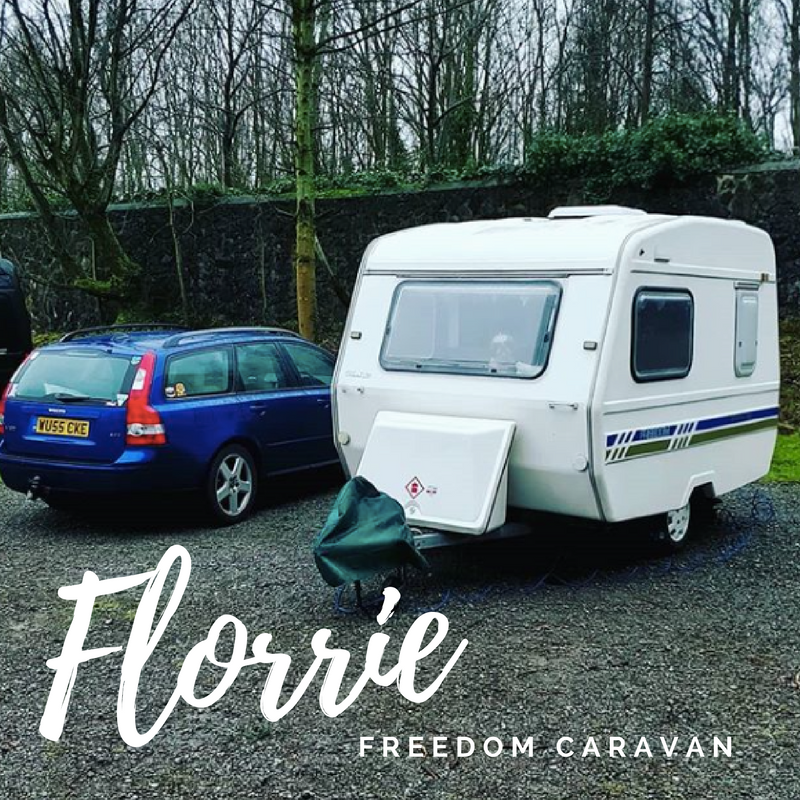 Florrie may be small but she has everything we need including a fridge, hob and grill and hot water. The seats fold out to create a double bed and we have loads of extra room if we put our awning up outside. The microvan doesn't have a bathroom like some bigger caravans do but we have a toilet that we can take with us if we want to and we only really intend on pitching up at sites with full facilities. Coco really loves the caravan and gets to snuggle up in-between me and Martyn at night. Compared to the campervan we hired Florrie has loads of storage. 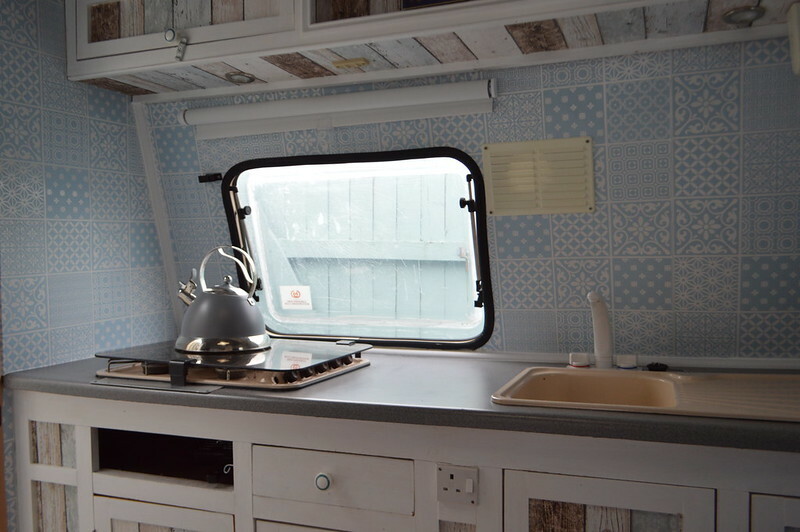 There is a long wardrobe unit, plenty of storage in the kitchen area for all our cooking equipment, some slim overhead units in the seating area perfect for books and board games and storage under the seats for our bedding. 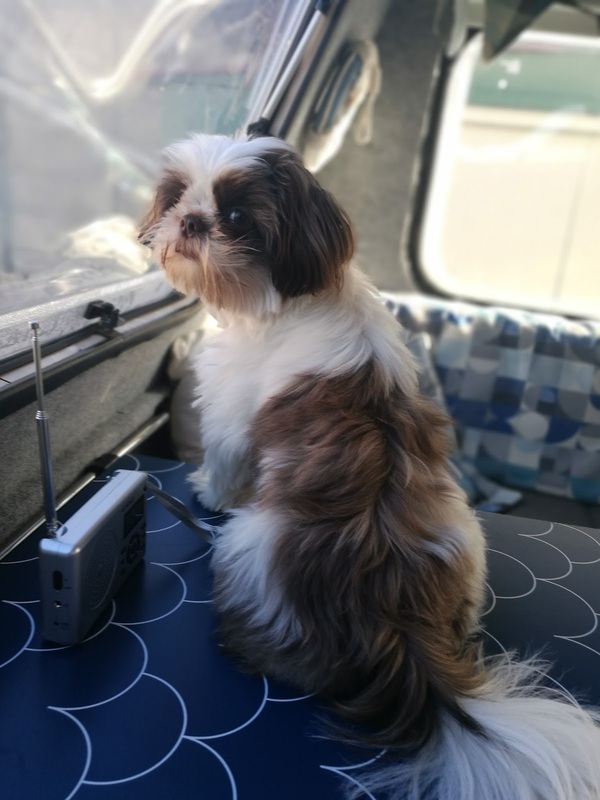 We recently took the caravan on a trip to a local site to make sure everything is in working order before we embark on a bigger trip this summer. We are planning some long weekends in West Wales and I would love to return to the Lake District in the autumn. It won't be all grey skies and trips in the UK though. Martyn will have the chance to get his Speedo 's out and Coco can have an ice cream on the beach as we are planning on taking the caravan to France in the summer and a return trip to Austria is on the cards at some point. So there you have it, our lovely Florrie. We have little bits we want to tinker with inside, have already added some extra insulation under the seats and I'm going to tone down the nautical theme a little so we can put our own stamp on the interior. I'm conscious that most 25-30 something readers of this blog are probably not that into caravanning. 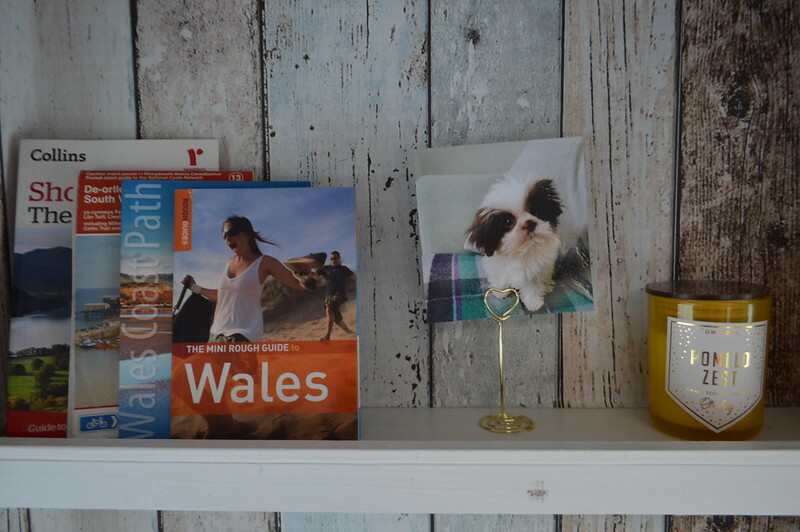 Do you want to read more about our caravan travels? I can share some lessons we learn along the way? (Hitching up to the car for the first time was interesting...) Let me know if the comment section below. How exciting!! A whole new world awaits. Sounds like you were very sensible realising a caravan offered more space than a campervan. It's a big purchase after all. I look forward to reading more of your travel adventures! It was such a hard decision, we also weighed up getting a new caravan on finance too but settled on this little one as a good first caravan. Will be great for a couple of years to get used to towing and hitching up. Oh wow! That’s so cool. I’ve never owned one myself, so not too sure how it really feels living in it until I experience it personally but I’m sure it must be exciting for you. Oh Florrie looks amazing! I love how you've decorated her, she looks gorgeous! We're camping people but I always love to read about other peoples adventures, it gives me ideas about where to go next. I love this caravan so much! I want one of my own! Love the distressed wood effect wallpaper you've picked too! I love how you have decorated the caravan and made it look so cosy and nice. Its such a beautiful space. Oh my goodness! I'm loving all of these. I would love to design y own caravan too. Great job with your interiors! The cutest little caravan I have ever seen! I am very jealous haha! 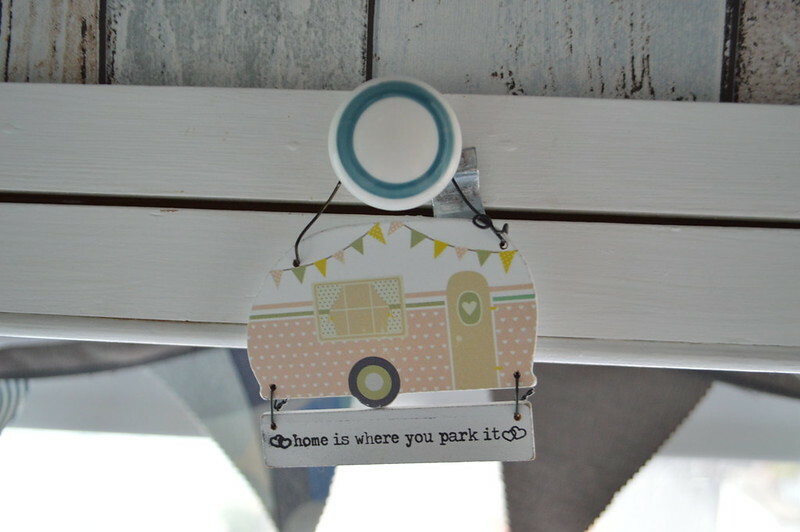 Welcome to the world of caravanning and what a beautiful van you have. I look forward to reading more about your adventures! Thank you! 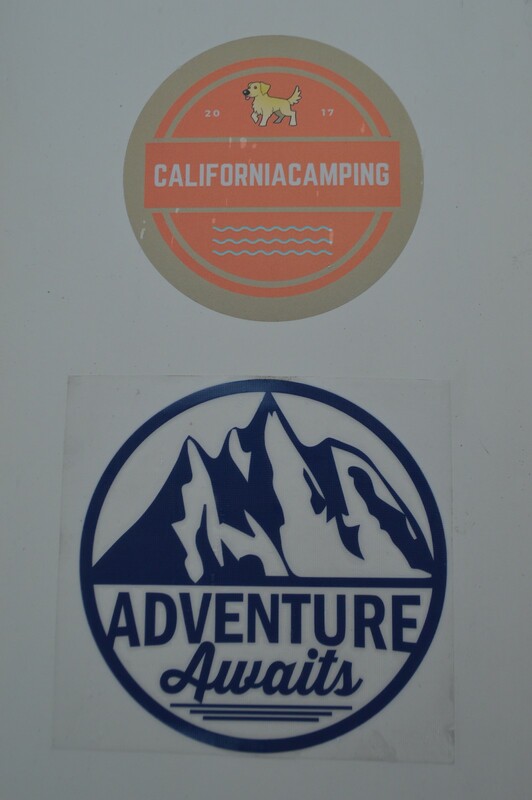 Had some wonderful adventures in the caravan this year. Can't wait to take it further afield next Summer.